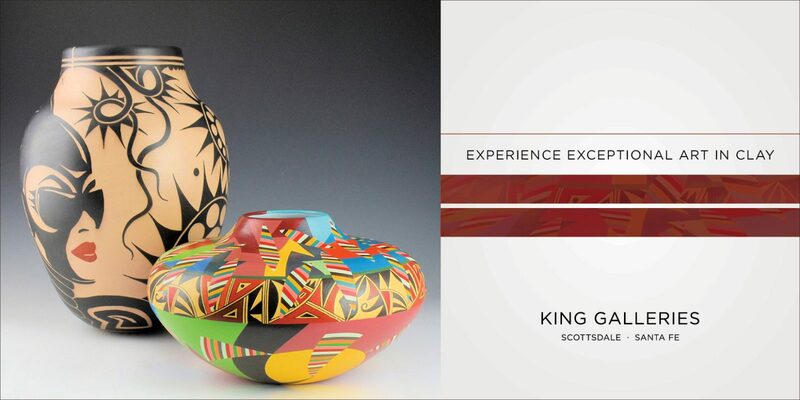 Welcome to King Galleries Pueblo Pottery and Native American Indian Tribal Art. 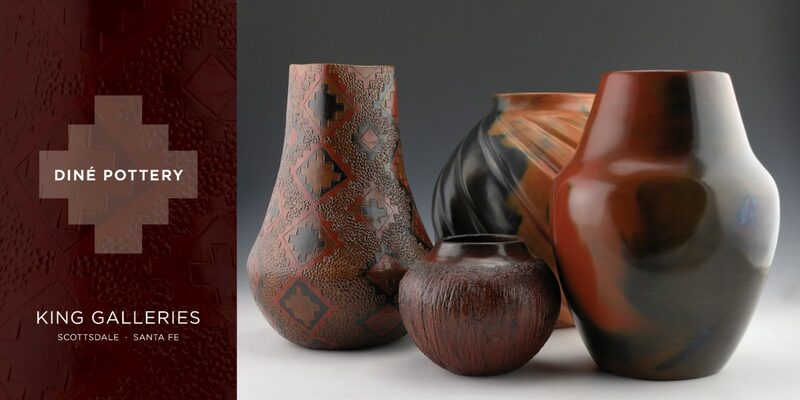 We are one of the nation’s premier galleries for Native American Indian Ceramic Arts. Our mission is to provide our customers with the highest quality artwork at an excellent price, backed with professional customer care. Education is one of our primary goals to better understand and appreciate the amazing historic legacy of this art form. 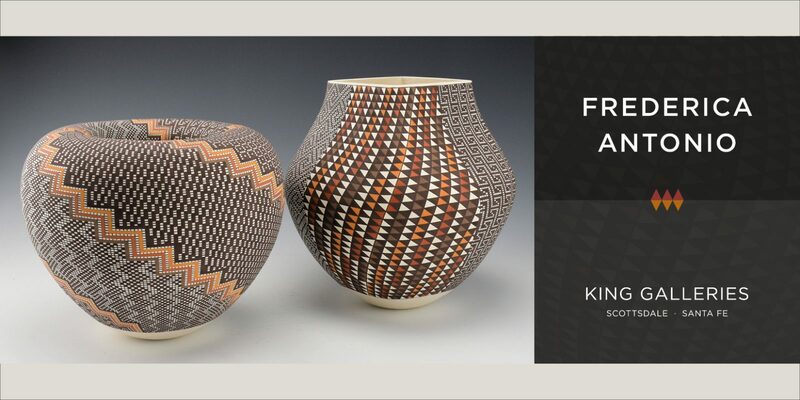 The gallery features both signed historic Pueblo pottery from the 1920’s to works by contemporary and emerging potters. In 2019 we will celebrate our 23rd year in business, and our 21st year on the internet! Each year we host numerous gallery showings and art events. New artwork is always online the opening day of the show! We update the New Additions page DAILY & you can join us for shows online or in the gallery by viewing our Events page. 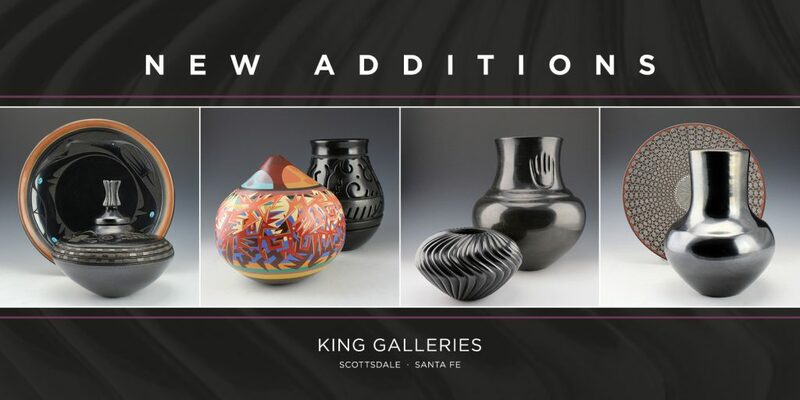 King Galleries is pleased to represent the Pueblo pottery of many of today’s leading potters. Over the years, we have taken the time to get to know each of our gallery artists. 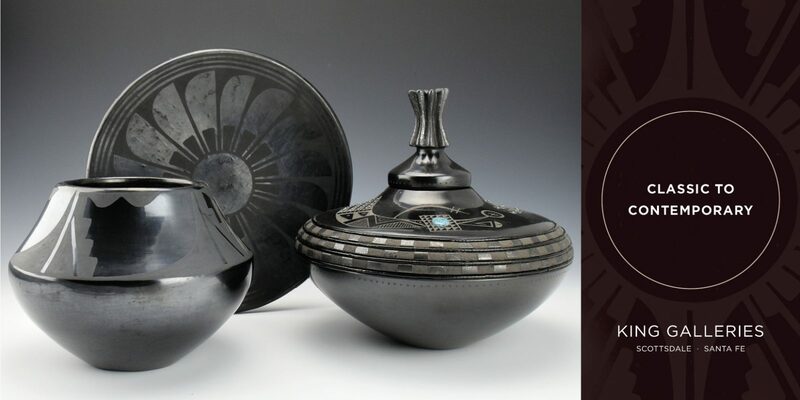 It is important that as each new piece comes into the gallery we are able to convey the thought, meaning, and techniques inherent to each vessel. It is important with contemporary pottery to understand the designs and motivation of the artist. 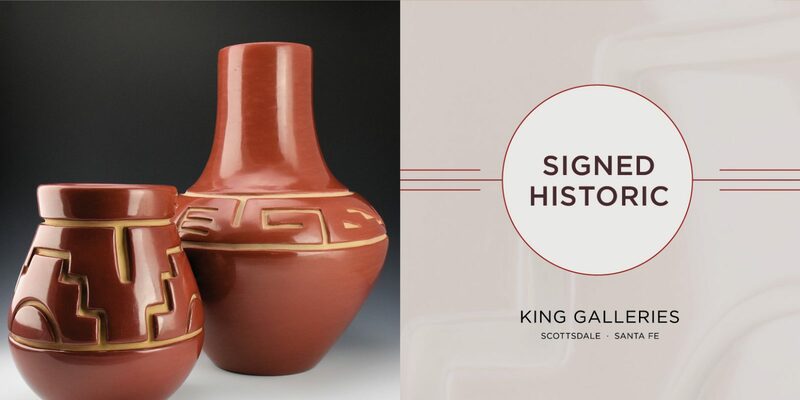 Equally, with the “signed historic pottery”, it is critical to present the historic legacy and significance of these pieces from the past. Today, we are lucky to work with the artists not only as their gallery representative but also as friends. This unique connection has guided us since our inception and it continues to be our commitment to represent work by potters who create the highest quality and greatest innovation.